SKIN PROBLEMS - Affecting Young and Old. 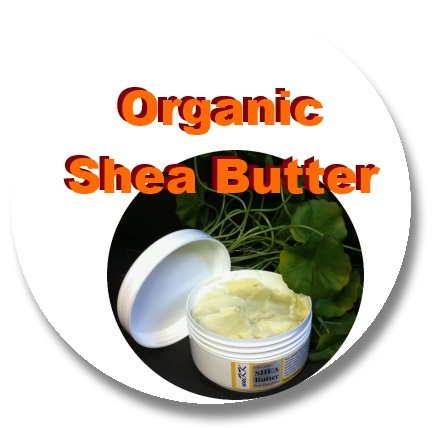 Heard about Organic Shea Butter that even baby's doctors prescribe to those gentle ...? Steroids are bad news to our body! 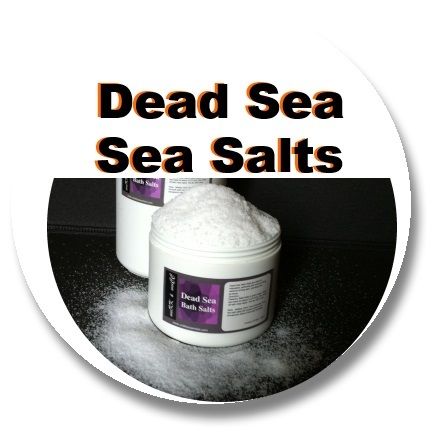 Customers come to us to purchase natural products that they testified are helpful, and help to provide reliefs. We hope that the beds are not stained with bloods each morning your child wakes up ... and adults get a good night rest from the relief of natural therapy. Nature is created to help us, not against us. Man-made products, no matter how good, cannot measure to the Great Creator! 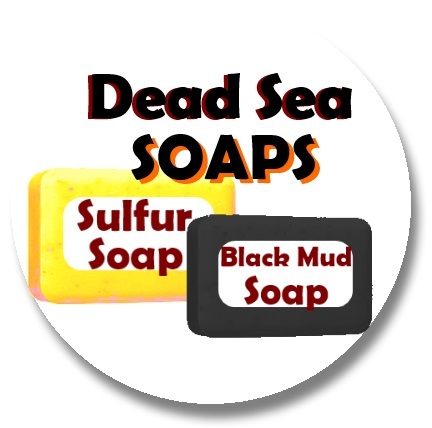 Dead Sea Products from Israel. Parents - teach your child ... the right way. When the person with eczema is feeling particularly fraught. In the case of infantile eczema, a child may often be reacting to the parents’ tensions, and it is often helpful to treat one or both parents as well as the child. Please do more research to see what's best for you! The terms eczema and dermatitis mean much the same. That is, an inflammation of the skin. It causes red, itchy skin which may also blister. Atopic eczema. This is caused by a problem from within the body. If you have atopic eczema you are born with a tendency for your skin to become inflamed. Various parts of the skin tend to flare up with inflammation from time to time. Contact dermatitis. This is caused by a substance from outside the body. 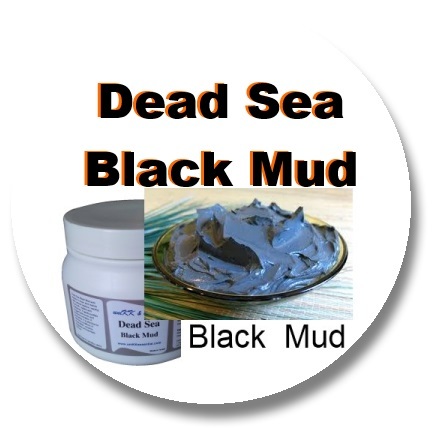 This typically causes patches of inflammation on areas of skin which have come into contact with the substance. If you avoid the offending substance, the skin inflammation should go away. What are triggers and irritants? In most people who have atopic eczema there is no apparent reason why the eczema may flare up from time to time. However, some flare-ups may be caused (triggered) or made worse by irritants to the skin, or other factors. remove the natural oils from the skin. This tends to make the skin dry and itchy and more sensitive to irritants. -o- Therefore, avoid soaps, bubble baths, etc, when you wash. Instead, use a thick emollient (moisturizer) as a soap substitute and add an emollient to the a bath or shower. After you wash clothes with detergent, rinse them well. Biological detergents are known trigger factors and fabric conditioners can make some people's eczema worse. Some people with eczema find that the perfumes, preservatives and alcohols in toiletries and make-up can be irritating. It may be best to avoid these, or only use bland products. cotton clothes next to the skin rather than irritating fabrics such as wool. Avoid getting too hot or too cold. Extremes of temperature and humidity may trigger a flare-up of eczema symptoms. -o- Some people react to stress by habit scratching. It is thought that scratching can make itch worse, which makes you want to scratch more, etc. This is called the itch-scratch cycle and can make eczema worse. -o- Try as much as possible not to scratch the eczema. To help with this, keep fingernails cut short so that any scratching is not so sharp and severe. 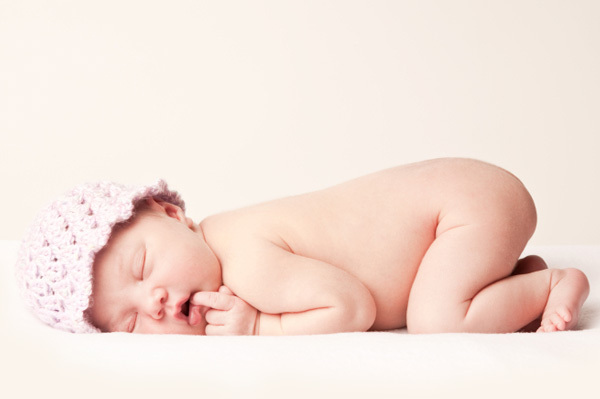 -o- Consider wearing cotton gloves at night if you tend to scratch in your sleep and use anti-scratch mittens for babies. If you need to relieve an itch, rub with fingers rather than scratch with nails. Some people find that relaxation exercises or similar techniques help to reduce stress. This may help to reduce habit scratching, which may help to reduce the severity of eczema. 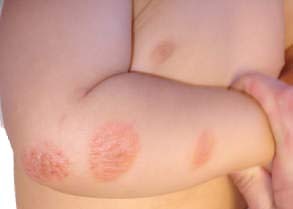 Infection often introduced by scratching, can aggravate eczema. Food allergy and eczema Less than 1 in 10 children with atopic eczema have a food allergy which can make symptoms worse. In general, it is young children with severe eczema who may have a food allergy as a trigger factor. The most common foods which trigger eczema symptoms in some people include: cows' milk, eggs, soya, wheat, fish and nuts. How do I know if a food is making eczema worse? Immediate food allergy occurs in some cases. Symptoms develop within two hours of eating the trigger food. Itching and scratching may worsen shortly after eating the trigger food. A common sign is redness, swelling and irritation around the mouth. Another skin symptom that may develop is urticaria (itchy, fluid-filled lumps on the skin, similar to nettle stings). Other symptoms may occur such as abdominal pain, vomiting, wheezing, itchy eyes and sneezing. Delayed food allergy occurs in some cases. Symptoms develop 6-24 hours after eating the trigger food. Symptoms include worsening of itching and eczema. Sometimes abdominal pain and diarrhoea also occur. If you suspect a food is making eczema symptoms worse, then see a doctor. You may be asked to keep a diary over 4-6 weeks. The diary aims to record any symptoms and all foods and drink taken. It may help to identify one or more suspect foods. To confirm the diagnosis of a food allergy, you will need to see an allergy specialist. Leaving out certain foods without an allergy being confirmed is not usually recommended. -o- House dust mite is a tiny insect that occurs in every home. You cannot see it without a microscope. It mainly lives in bedrooms and mattresses as part of the dust. There is some evidence that reducing house dust mite may help but further research is really needed to confirm this. It is impossible to clear house dust mite completely from a home and it is hard work to greatly reduce their number to a level which may be of benefit. Treatment with other methods such as emollients and short courses of topical steroids usually works well. Therefore, the effort of trying to eliminate house dust mite is not usually warranted. However, some people with severe eczema which is difficult to control with the usual treatments try to clear house dust mite from their home as much as possible. Therefore, for the sake of completeness, the following gives an idea of how to clear house dust mite. But it has to be stressed, it is hard work, it is not usually recommended and the value of this is not clear. To greatly reduce the numbers of house dust mite: Helpful Tips. Remove carpets (where possible) from the bedroom. Avoid soft furnishing in the bedroom. Use feather rather than synthetic pillows (this is the opposite to what used to be thought). Vacuum or clean the bedroom floor regularly. Use a vacuum cleaner with a good filter (this removes the mite and prevents small particles coming out through the vacuum exhaust). Regularly ventilate the bedroom (open the door and a window for a while on most days). Keep soft toys to a minimum. Put them in the freezer in a plastic bag for 24 hours now and again. This kills any mites on them. If the toys are washable, wash them at 60°C after they have been in the freezer. Pets Some parents report that symptoms in children become worse when they are in contact with pets. If you suspect a pet, it may be worth removing the pet to another home for a while to see if symptoms improve. which may trigger symptoms, or make symptoms worse, include: pollens, moulds, pregnancy and hormonal changes before a period in women. However, these may not be avoidable. There may also be other factors which have not yet been identified which can trigger symptoms in people who have eczema.